The first Spanish Jamón D.O. was established (1984). Because my home is in Teruel (Spain), where the first Spanish Jamón D.O. was established (1984). The real advantage with me belonging to a D.O. it gives a guarantee of quality and production method. I am considered to be the King of Spanish cuisine. According to the Teruel´s Jamón D.O., the curing room, my heart, must be located at more than 800 metres above sea level. Mine it is at 1,573 metres – double the standard requirement. I am created in a completely handcrafted way. The quality process I go through are Paco´s hands, my craftsman. He is the third generation of his family in this very special and unique type of work. My taste and aroma hide the secrets of his art. My curing room is the highest in all of Aragón (Spain), in the Sierra de Albarracín. It is also one of the highest in the world. This fact means that the pollution levels around me are practically non-existent, and proof of this is that lichens grow abundantly in the forests around me. With the dry air from the north and all the necessary time, my curation process begins, starting from the inside and finishing on the outside. This process ensures that more than 60% of my fat will be healthy or unsaturated. As well as the older people, with cardiovascular benefits. According to studies at the University of Zaragoza (Spain), 100 grams of jamón with fat has fewer calories and cholesterol than a beef steak. My meat is of excellent quality. This is because my curation is long and the climate from where I come from is very dry. In my case, my minimum curation time to be certified is 14 months. However due to all the natural processes that I am involved with my curation time can be even longer than 18 months. On average, I am cured for over 20 months, instead of others that can be found curing for as little as 8 months. This 20 months curation process gives me a smooth and juicy finish, along with a unique flavours that it is only achieved by spending so much time being cured in a natural drying room at high altitude. As a result of the natural curation with sea salt, potassium and magnesium become part of me. For the rest of me I am made up of natural ingredients such as garlic and vinegar. 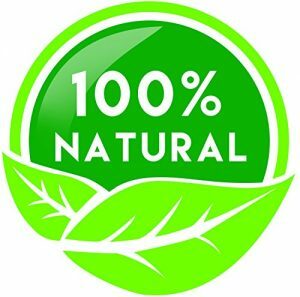 I am a 100% natural product. I am a 100% natural product. What I like the most is that when my creation begins, I am weighed individually to assess the exact amount of salt that I need. For this reason, once I enter in my curing room I am already the product of a craftsman. At each stage of my process I am treated individually and personally.